My first pumpkin recipe of the year, and let me tell you it’s a GOOD one. Slutty pumpkin brownies, and I made them even sluttier by adding a thick gooey layer of salted caramel. Becasue if you are going to indulge you may as well really indulge. This could, quite possibly, be the most ridiculous (but in a good way of course) dessert ever invented. It is ooey, gooey, decadent, and did I mention SO easy to make. 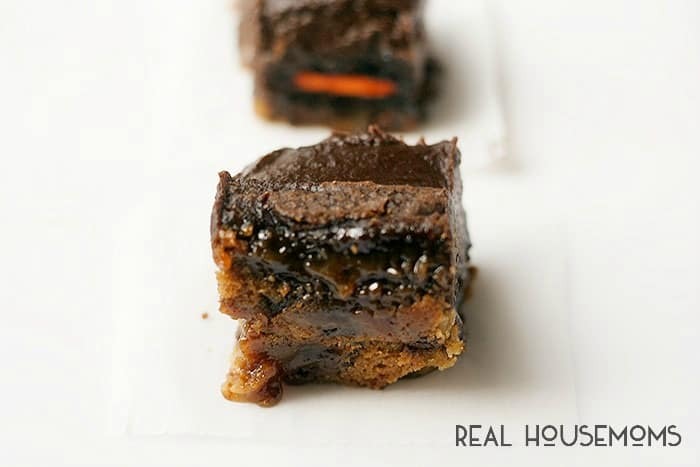 Slutty brownies are nothing new, and the slutty brownie’s evil twin the sluttier brownie – with an added layer of caramel, lets just say they have been on my to-do list for quite some time. 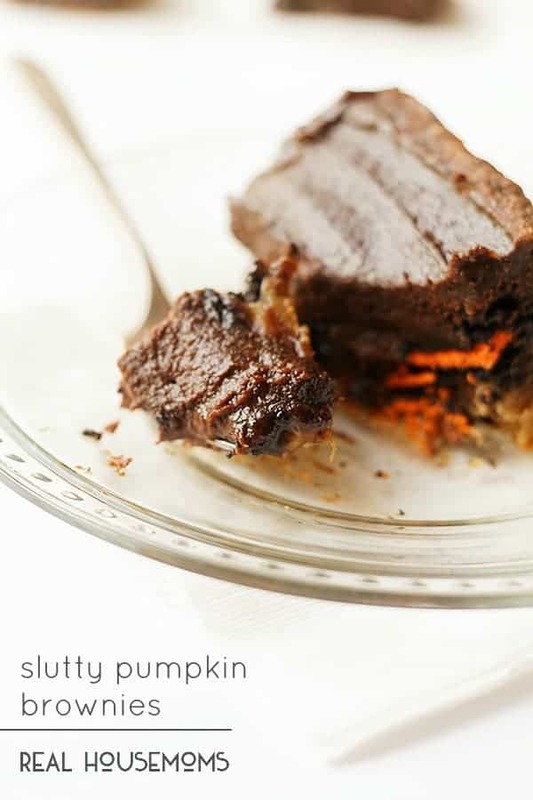 But with Halloween just around the corner, and those festive Halloween oreos taunting me, well pumpkin slutty brownies seemed the perfect answer. You could make your own cookie dough and brownie batter, and your own salted caramel, you could even make your own oreos if you felt the urge to be uber domestic. Or you could be like me and buy cookie dough, a box of your favorite brownie mix, a jar of salted caramel , and a package of Halloween oreos. 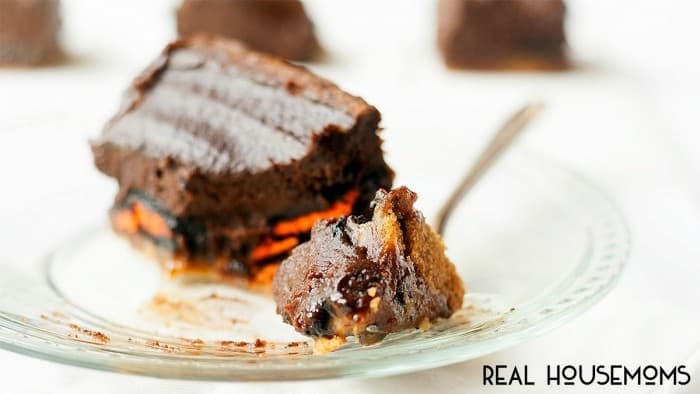 Add a can of pumpkin and you are 30 minutes away from dessert heaven my friends. Let me warn you, the bars are very soft and gooey in the center; if you prefer a less messy brownie, bake them in a 13 x 9 baking pan for 35 – 40 minutes. I happen to LOVE them gooey, but have plenty of napkins ready. 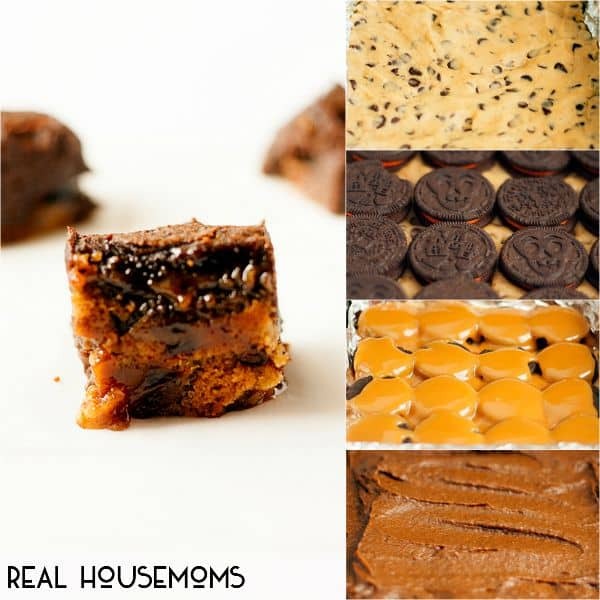 It’s so interesting how many variations on slutty brownies there are. I’ve found one with zucchini, and now pumpkin. Perfect for Halloween! Do you prepare the brownies then add pumpkin, or just add the purée to the mix? Also, the big or small can of pumpkin? Thanks! No, just mix the brownie mix and pumpkin puree together, no need to add those extra steps. A standard 15oz can should work out nicely. Do you make the regular brownie mix and then add pumpkin? No, just combine the brownie mix with the pumpkin. No extra work here! !